ROTHESAY (AUS) (Bay 2006-Stud 2011). 4 wins-1 at 2, Queensland Guineas, Gr.2. Sire of 304 rnrs, 176 wnrs, inc. SW Havasay (Clarence River JC Ramornie H., L), In His Stride, Too Good to Refuse, SP Over Exposure, Scottish Rogue and of Gem of Scotland, Guntantes, Macewen, Trail of Glory, Bring it Home Pop, Chapter and Verse, Beloso, Kit de Luca, Prioritise, Jacksay - Fionesay (H.K. ), Oberland, Shadow Lawn, Shotacross the Bow, Say I Cee You, etc. Oberland (g. by Rothesay). 8 wins. See below. Don't Leave Me Out (g. by Rothesay). 3 wins at 1000m, 1100m, A$98,390, to 2018-19, ATC Canterbury Night Sprint H., 2d BRC Thyme Restaurant Sofitel Brisbane H., Fat Noodle Yum Cha Menu H., Ipswich TC Ray White H.
The Hipster (g. by Rothesay). Winner at 1100m, 2d ATC Hawkesbury Gazette H.
Brienz Bella (f. by Real Saga). 3 wins to 1200m to 2017-18 in Aust. THE DUKE (Danehill). 10 wins-2 at 2-from 1200m to 1650m, HK$28,891,500, Cathay Pacific Hong Kong Mile, Gr.1, HKJC Cathay Pacific International Mile Trial, L, HKSAR Chief Executive's Cup H., Agate H., Chevalier Cup H., Deep Bay H., Hung Mui Kuk H., Ing Chun Fai P., Privilege H., American Club Challenge Cup, 2d Cathay Pacific Hong Kong Mile, Gr.1, HKJC Queen's Silver Jubilee Cup, L, Cathay Pacific International Mile Trial, L, Sha Tin Trophy, L, HSBC Premier Vase H., Chinese New Year Cup H., Midland Realty Cup, Portugal H., Japan Racing Association Trophy H., Pearl of Orient H., Panasonic Digital World H., Tung Wah H., Staunton P., 3d HKJC Champions Mile, Gr.1, Cathay Pacific Hong Kong Mile, Gr.1, Stewards' Cup, L, National Day Cup, L, Chinese New Year Cup, East Point H., HKSAR Chief Executive's Cup, Asia H., Chung Hom Kok H., 4th HKJC Chinese Club Challenge Cup, L.
Invinzabeel (I Am Invincible). 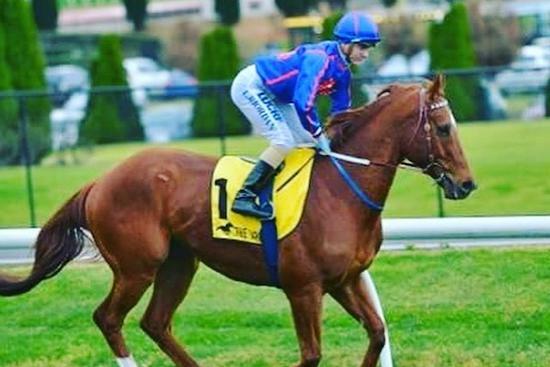 7 wins from 1400m to 1600m, A$493,360, to 2017-18, ATC Pro-Ride H., Winx Hall of Fame H., Thoroughbred Breeders NSW H., Beanie for Brain Cancer H., Rosehill Bowling Club H., Drummond Golf H., City Tattersalls Club H., 2d ATC Winter S., L, TAB Place Multi H., Rosehill Bowling Club H., McGrath Estate Agents Vic H., 3d ATC Octagonal H., Choose Segenhoe H., One Solutions H., Schweppes H.
CHAMBORD (Zabeel). 4 wins at 1200m, NZ$231,935, to 2017-18, Levin S., L, Manawatu RC Silvester & Clark Engineers H., Cambridge JC William Inglis & Son H., 2d New Zealand Two Thousand Guineas, Gr.1, Waikato RC J Swap Contractors Sprint H., Gr.3, Matamata Cup, L, Ashburton RC Ray Coupland S., L, Manawatu RC Carters Ashhurst Pohangina Cup, WRC Dukedom Cup, Hawkes Bay Swiss Ace Sprint H., Stella Artois H., 3d ARC Great Northern Guineas, Gr.2, Newmarket H., L, 4th Waikato RC Sprint H., L, Feilding JC Anzac H., L.
KEEN ARRAY (Bel Esprit). 7 wins at 1000m, 1200m, A$924,950, to 2017-18, VRC Gilgai S., Gr.2, MRC Blue Sapphire S., L, Testa Rossa S., L, Italktravel S., L, MVRC William Hill P., 2d VRC Coolmore Stud S., Gr.1, MVRC Chandler Macleod S., L, MRC Italktravel S., L, VOBIS Gold Sprint, TROA National Jockeys Trust P., 3d MVRC Ascend Trophies Premium P., 4th VRC Tab.com.au S., Gr.2, MRC Inglis 2YO Premier, RL, MVRC Carlyon S., L.
Oink (Sebring). 4 wins-1 at 2-to 1350m, A$341,800, to 2017-18, BRC Andersonracing.com.au H., SQS Haulage 2YO H., Sky Thoroughbred Central H., Pillow Talk P., 2d GCTC Ken Russell Memorial Classic, Gr.3, BRC Bneraces P., Qld Tatt's RC Winning Edge Presentations 2YO H., BRC Sky Racing Pam O'Neill H., Mark Cotterell P., Ambassador Travel H., Canadian Club P., Weddings H., GCTC Hawkes Racing P., 3d BRC Cascade H., SCTC Rent 2 Own Cars Australia 2YO P., Pool Pro is Proudly Australian Owned H., BRC Treasury Brisbane's Art P., Countdown to Carnival P., Gallopers Sports Club H.
Race Record: 32 Starts 8-2-5 A$250,225. 8 wins-1 at 2-to 1250m, A$250,225, to 2018-19, BRC Energy H., Sevensins H., SAJC Sevenhill Cellars H., Daimler Trucks Adelaide H., SCTC Coastline BMW M2 H., Sky Racing Replays H.-twice, 2d MVRC Art Series Hotel Group H., MRC Nitto Denko H., 3d BRC Hog's We'll Raise the Steaks H., Qld Tatt's RC Winning Edge Presentations H., MRC Pegasus Leisure Group H., SAJC Consolidated Plant H., SCTC PFD Foodservices H.